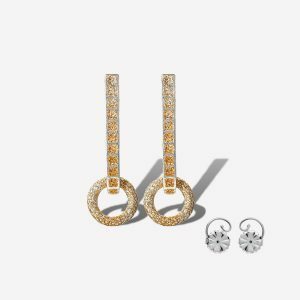 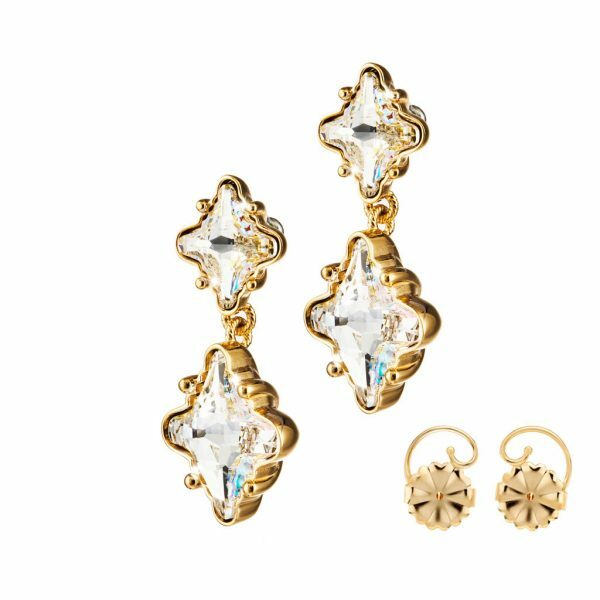 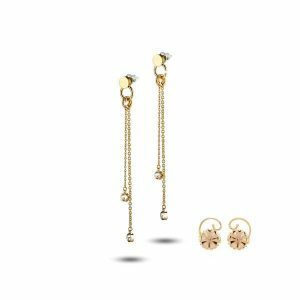 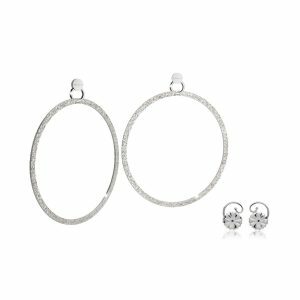 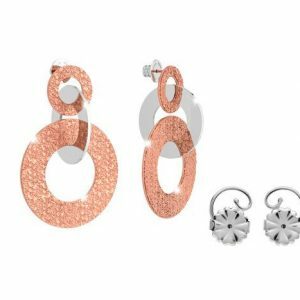 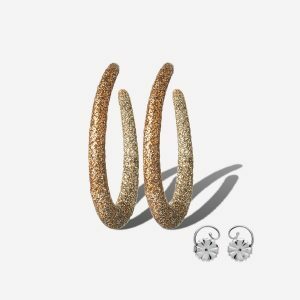 Italian designed and crafted from sterling silver with yellow gold plating, set with a clear iridescent stone, these dramatic earrings are sure to make a statement anytime. 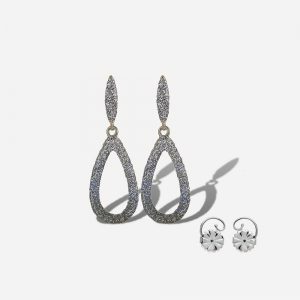 Paired with yellow gold plated sterling silver Levears to keep them in place and lifted to perfection. Measures 1.5″ in length.